Standing perched on the cliff top watching the sun sink in the west, reveals what is one of my favourite coastal views. 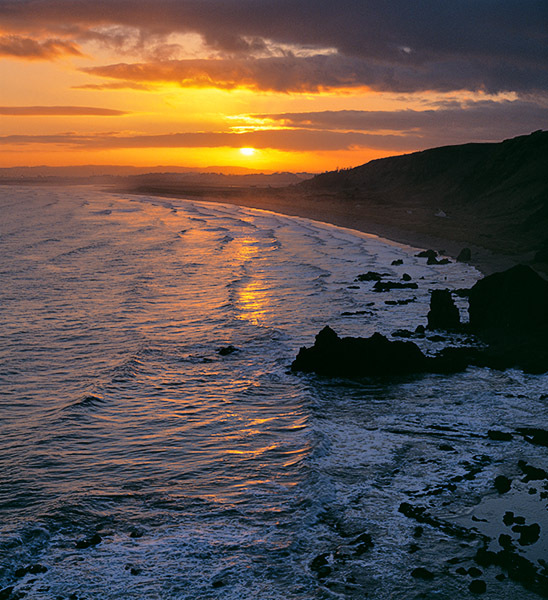 St Cyrus has a long sandy beach which is interspersed with a number of rocky outcrops. Salmon fishing with static nets is still carried out, and two ice houses used to pack the fish, still stand amongst the grassy dunes. The area is nationally important for birds, flowers and insects. Photo © copyright by Graham Chalmers.